I have just returned from a trip to the northern Grampians in western Victoria, staying near the wonderful Wartook State Forest – a superb area of grassy eucalyptus woodland. It was the spring school break, so yakking with family and friends around an evening fire, and enjoying the sites, sounds and smells of the bush, was the order of the each day. And, of course, I managed to nip off for some morning walks to go birding. 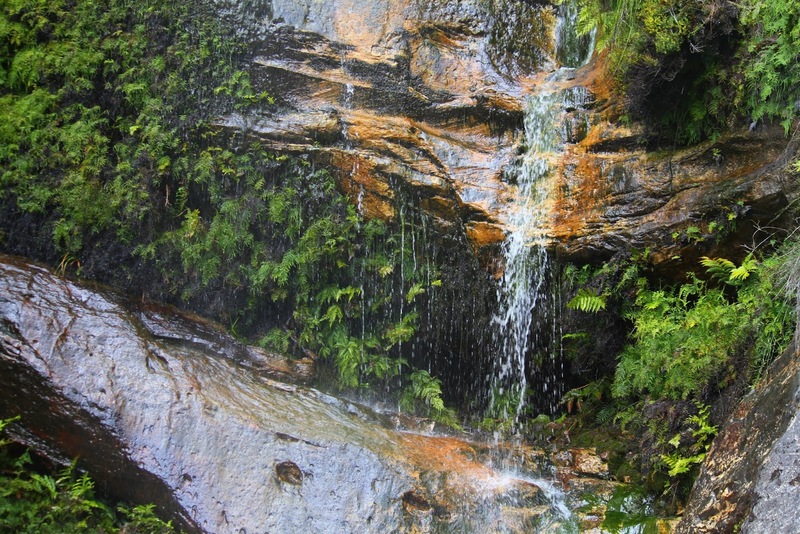 I’ve written about Wartook State Forest previously, so this report is a bit of an update. For the fun of it, I’ve also discussed a couple of other good birding spots in the area, sites which I try and visit when staying in this part of sunny Victoria. Over the years, I have visited the Wartook many times, staying at our ‘land for wildlife’ ‘co-op eco’ property that borders the Wartook SF near the start of O’Sullivans Rd. 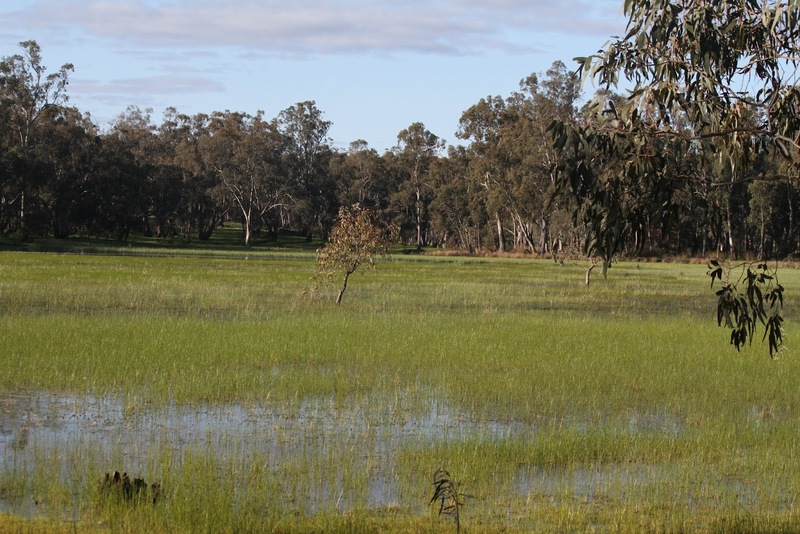 Wartook State Forest is a located on a gentle undulating plain with a tree canopy dominated by River Red Gum (Eucalyptus camaldulensis) and a perennial ground layer dominated by native grasses and wildflowers. 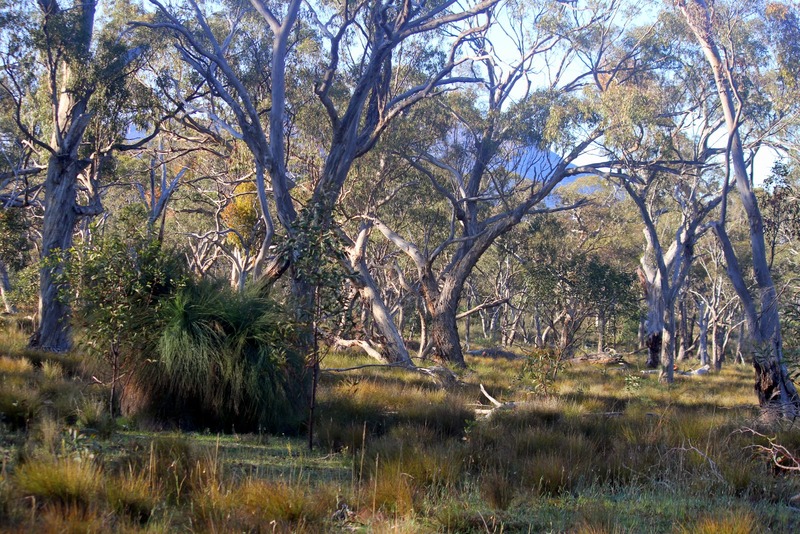 This type of temperate eucalyptus grassy woodlands was once widespread across the plains of mainland eastern Australia, however it is estimated that more than 97% has disappeared since European settlement – mostly for the development of farmland. In the past many of the larger River Red Gum at Wartook were cut for railway sleepers. 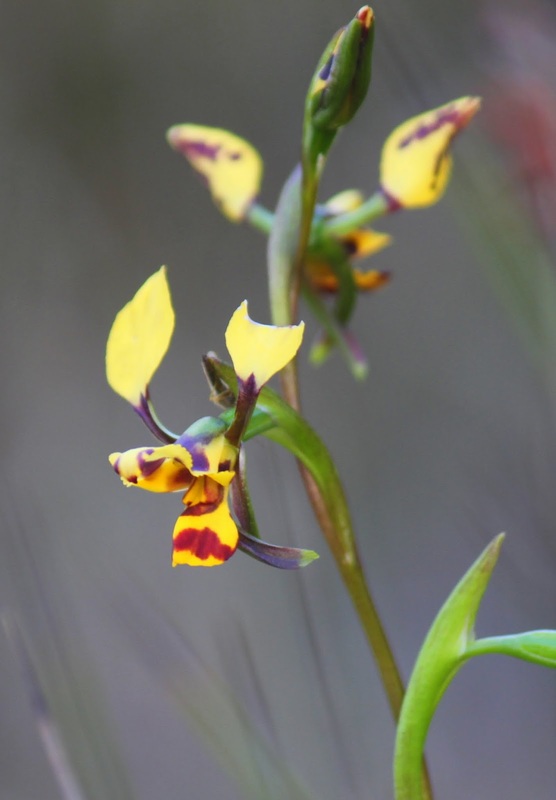 Spring 2012 in Wartook has been a remarkable year, not just for birding, but also for native wild flowers particularly orchids. This spring Wartook has been transformed in to a rich and colourful display of wildflowers. To put it mildly, the forest has become an orchid wonderland! The rare Large White Spider Orchid (Arachnorchis venusta), flowering Wartook State Forest. By no means a large park, Wartook SF is about 500 hectare and extends for about 5 km east to west and 2 km north to south, with the widest area in the west. It is bordered by Northern Grampian Rd on the east boundary, Rosebrook Rd on the south, the Old Adelaide Rd on the west, and both O’Sullivans Rd and Brimpaen-Laharum Rd on the north. The best way to get there from Halls Gap is via the Northern Grampians Rd. When you reach the ‘locality’ of Wartook, just before the Wander Inn (formally the Wartook Tea House – I think I prefer the later name), turn west on to O’Sullivans Rd (incorrectly marked as Grimble-Geuese Rd on Google maps). From here, travel west 1 km until you reach a track that braches to the south-west. Park here, breath in and look around, and then walk up the ridge to a small dam. My favourite walk for birding is the area around the small dam, and from there moving south (and south-east) and then west through the open woodlands (-37.043155,142.323157). After a while you arrive at a wonderful section of grass trees (Xanthorrhoea australis) (-37.044148,142.319918). From here, continue west until you come to 4 Mile Creek, linking back up with O’Sullivans Road where is crosses the creek (-37.045279,142.312698). This takes you through a superb area of open grassy woodland (some of the best of its types I’ve seen) with some excellent birds to match. When bush-camping at Wartook you will need to be self sufficient. There are no amenities amongst the River Red Gum. Recommended camping sites are near the small dam (mentioned above), and the other is just off the Old Adelaide Rd accessed via Brimpaen-Laharum Rd (-37.033539 142.302597). Both areas are quiet spots, other than the wildlife. There is also a wide selection of campgrounds in the Grampians National Park (although they can get busy during the spring and autumn school holidays), such the excellent Stapylton Campground. You could also become a member of the MEG environment group. Not only do you get access to the properties camping grounds on O’Sullivans Rd, there’s also accommodation in a basic small, old cottage (email me if you want details). The Happy Wanderer Holiday Resort is also worthwhile. 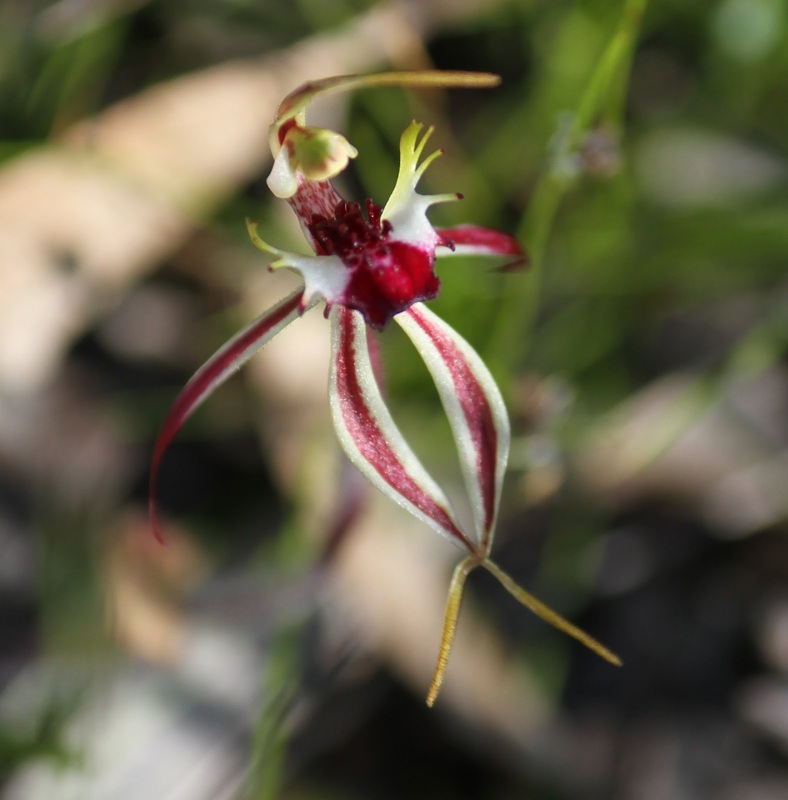 The richness of Wartook State Forest makes it something of a bio-diversity hotspot. There is an interesting collection of eastern woodland species intermixed with some of the drier, more northern species. The park is literally situated on the ecological border between the “south-east” and “northern” Victoria. 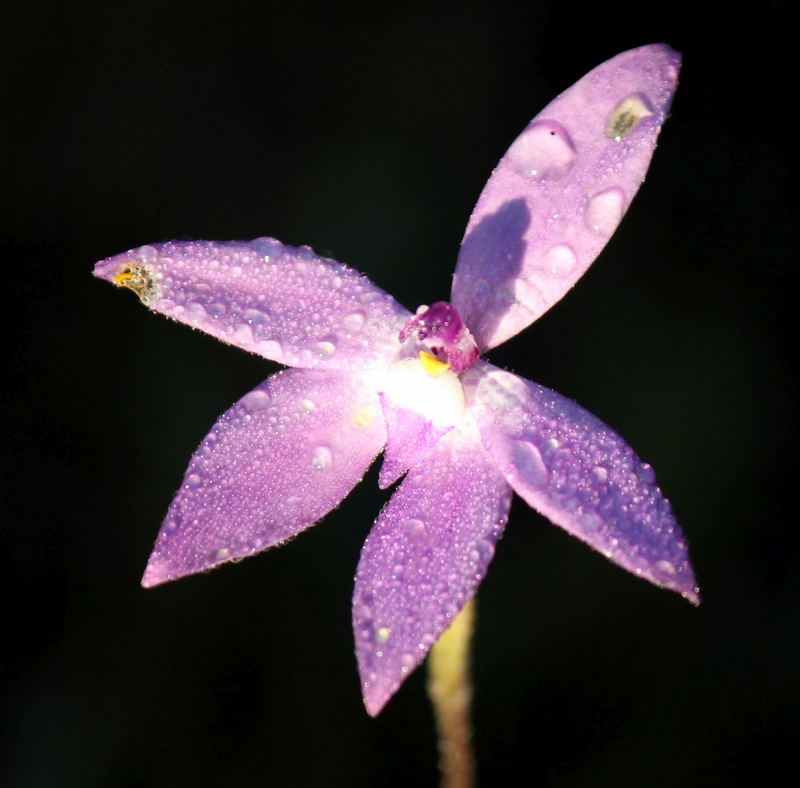 The best time to visit depend very much on what you want to see, however between September and March is when the migratory birds come through to breed, and spring is the best time to see the native orchids. The woodlands at Wartook supports many different nectar-feeding birds and the tall open woodland are important for hollow-dependent species. I’ve recorded over 100 species at Wartook – over 70 on good day. Some of the more interesting species I’ve seen include (in no particular order) Square-tailed Kite (in forest nearby), Painted Button-quail, Speckled Warbler, Black-eared Cuckoo (nearby), White-bellied Cuckoo-shrike, Forest Raven (north-east extent of range in western Victoria), Hooded Robin (essentially Australian southern extent of range), Diamond Firetail, Emu, White-throated Needletail, White-browed Woodswallow, Restless Flycatcher, White-browed Babbler, Brush Bronzewing, Peaceful Dove and Varied Sittella (mostly black-capped ssp pileata, although this is a borderline range with the orange-winged hrysoptera ssp). I’ve also got a long list honeyeater, including Black-chinned (look and listen for them high in the canopy), Fuscous, Yellow-tufted, White-plumed, Brown-headed, White-naped, Spiny-cheeked, New Holland, Yellow-faced, White-eared and, occasionally, Tawny-crowned and Yellow-plumed (single record). 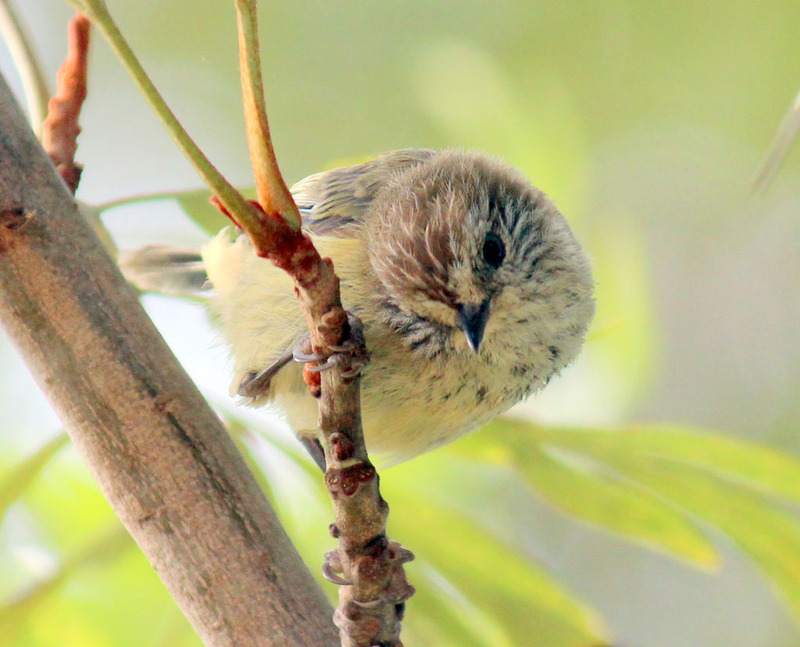 It is also a good spot for smaller passerines such as Brown, Striated, Buff-rumped, Yellow and Yellow-rumped Thornbill, Weebill, Spotted and Striated Pardalote, and I occasionally see and hear both White-throated and Western Gerygone. The word gerygone means “born of sound”; listen for their descending-notes song that is best described as “simple but delightful”. Nocturnal species I’ve seen include Barking Owl (in 2010 and 2011), Southern Boobook, Eastern Barn Owl, Tawny Frogmouth and Australian Owlet-nightjar. I’ve also heard Powerful Owl nearby. In spring the woodlands around the dam usually hold Speckled Warbler, Diamond Firetail, Hooded Robin, Jacky Winter, Varied Sittella, Restless Flycatcher, Peaceful Dove, Rainbow Bee-eater, Dusky Woodswallow, Fuscous and Yellow-tufted Honeyeater, and cuckoos such as Pallid, Fan-tailed and Horsfield’s Bronze- and occasional Black-eared. All these birds move around the forest, and drink at the dam early in the morning. The River Red Gum here are old growth, some covered in mistletoe, with many and varied nesting holes. As a result, you get plenty of parrots, such as Musk, Rainbow and Little Lorikeet, Crimson and Eastern Rosella, Red-rumped Parrot and cockatoos such as Gang-gang, Sulpha-crested and Yellow-tailed Black-, Long-billed Corella, Galah and occasionally Cockatiel. and a floor blanketed in wild orchids. The area of Xanthorrhoea can be teeming with honeyeaters such as Yellow-tufted, White-eared, White-naped, Brown-headed, New Holland and Black-chinned. 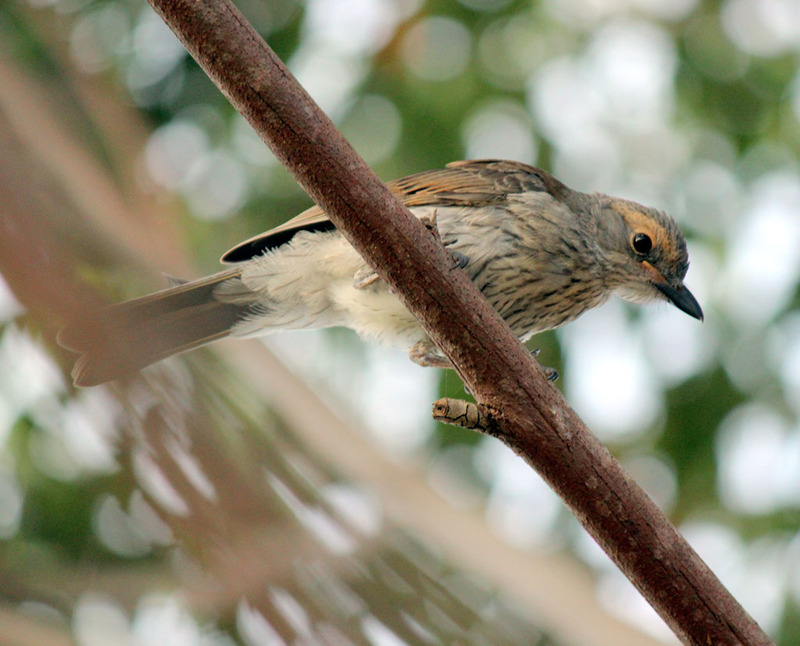 The grass tree section is also a good place to look for White-bellied Cuckoo-shrike – listen for their very distinctive, somewhat parrot-like call. In the bushlands bordering 4 Mile Creek look for Emu, Collared Sparrowhawk, Speckled Warbler, Sacred Kingfisher (which nest in several large trees beside the creek) as well as both Rufous and Golden Whistler and Scarlet, Flame and Eastern Yellow Robin. Similar species to those mentioned above are found in the western section of the park, accessed across the creekline (when wet, it’s a 4WD crossing). You can also access the western side via Brimpaen-Laharum Rd. In the west there is an interesting ephemeral wetland (see –37.030814,142.304973). When it contains water you may see waterbirds such as Great Egret, White-necked and White-faced Heron, Australasian and Hoary-headed Grebe, Australian White Ibis and Yellow-billed Spoonbill. There is another, less reliable, ephemeral wetland in the eastern section of the park, which borders Northern Grampians Rd (-37.042521,142.335967). Wartook SF is inhabited by good numbers of mammals: Grey Kangaroo and Red-necked Wallaby are both common, and I occasionally come across Red Deer, including some large majestic fully-antlered males. Plants, Flowers and the Orchids! An absolute feature of the Wartook SF is the woodland ground cover, variously dominated by grasses, flowering herbs and orchids, particularly during spring. Due to the good rains over the last couple of years, the woodlands are in superb condition. It contains large, well-spaced River Red Gum (approximately 50 metres apart), with different types of under-storey shrubs and native grasses. The River Red Gum are old growth, some covered in mistletoe. Before I visited the forest this spring, there had been a series of good rains during the weeks preceding. 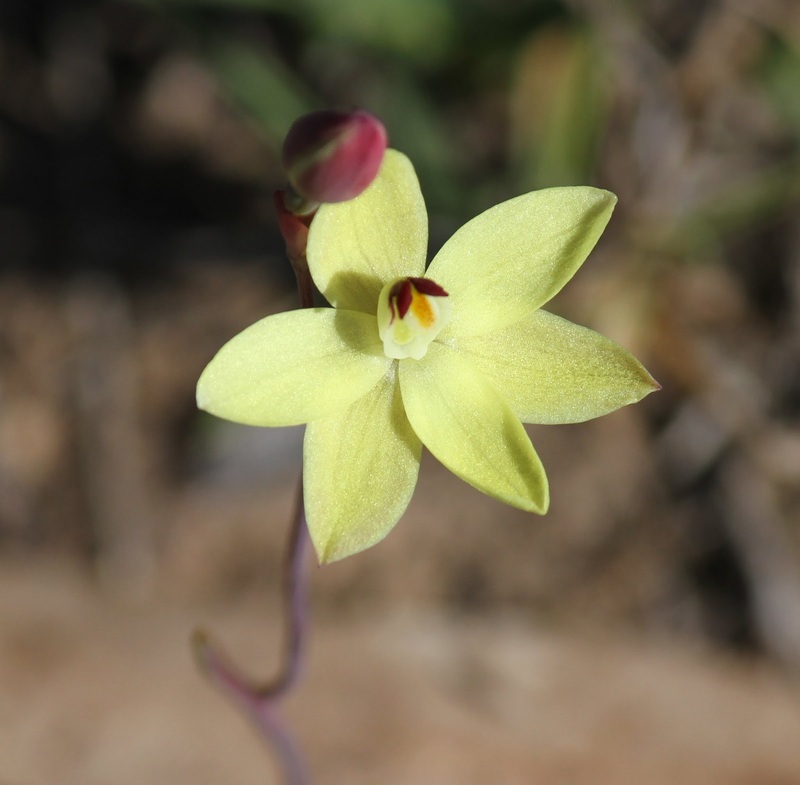 This was followed by a seasonal change, with increased temperatures and good sunlight – perfect conditions for the flowering of native orchids! Interestingly I wasn’t the only there to look at the orchids – a groups of students and staff had travel west from La Trobe University’s department of Outdoor Education. Several groups were wondering around the reserve: some specifically looking at the orchids, while others were birdwatching. Nice to see. 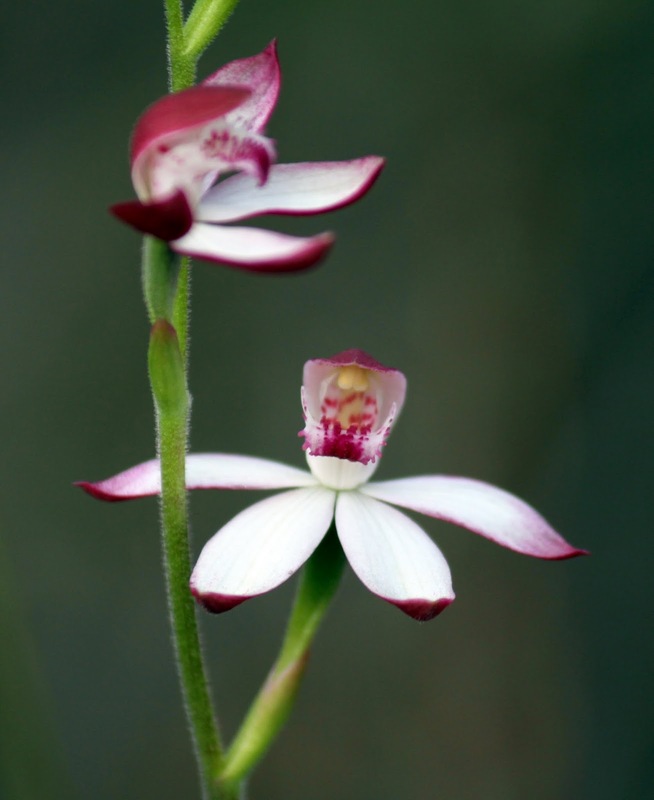 On my first morning walk I counted no less than a dozen varieties of the more exotic and delicate orchids. Amongst these where the rare and endangered Large White Spider Orchid (Arachnorchis venusta), Small Spider Orchid (Arachnorchis parva), Donkey Orchid (Diuris orientis), Leopard Orchid (Diuris pardina), Musky Caladenia (Caladenia gracilis syn C angustata), Pink Fingers (Petalochilus carneus), White Fingers (Petalochilus catenata), and the Rabbit Ears Sun Orchid (Thelymitra antennifera). One of the most fascinating things was the range of Wax Lip Orchid (Glossodia major ssp), a beautiful flower, with many different varieties distributed throughout the area. Once attuned to looking for them, I saw them everywhere. 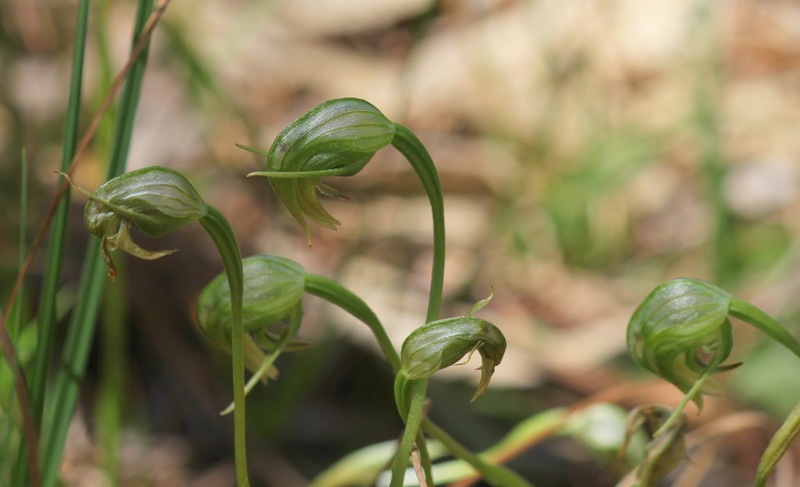 Nodding Greenhood (Pterostylis nutans) formed extensive little colonies on the woodland floor, particularly near the wetter fringes of 4 Mile Creek (where it intersect with O’Sullivan). 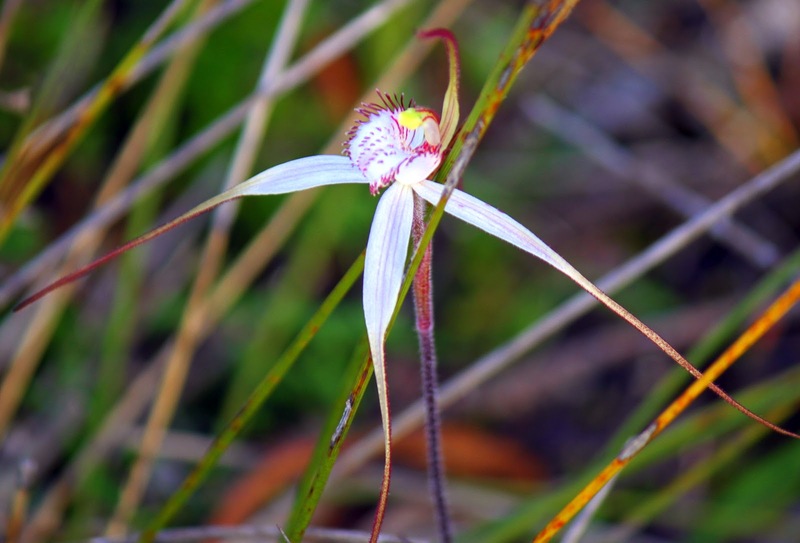 One of the best place to see these orchids was in, and around, the Xanthorrhoea – with a good spot along a small sandy kangaroo walking track, that run through the centre of the grass trees (-37.043878,142.319538). The superb Large White Spider Orchid (photographed above) was immediately to the west of the grass trees. There was also abundant an array of other spectacular flower species. 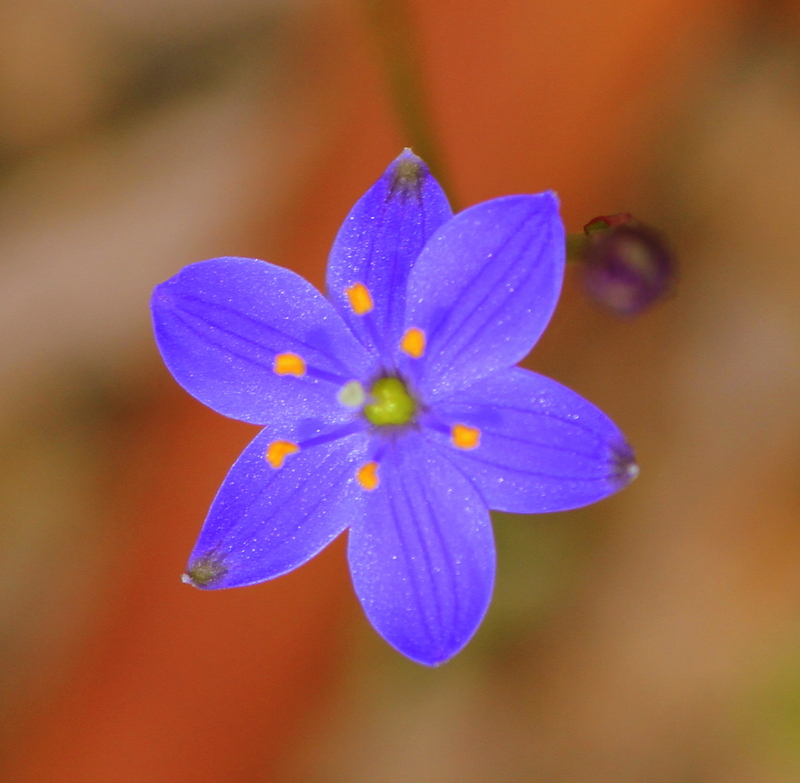 The Blue Star (Chamaescilla corymbosa) was a real treasure, with bright deep blue star-like flowers. There were also Bulbine Lily (Bulbine bulbosa), Long Pink-bells (Tetratheca stenocarpa), Yam Daisy (Microseris scapigera), Fringed Heath Myrtle (Micromyrtus ciliata), Heath Tea-Tree (Leptospermum myrsinoides), Running Postman (Kennedia prostrata), Rising Star Guinea-flower (Hibbertia humifusa Grampian ssp) and Scaly Buttons (leptorhynchos squamatus). 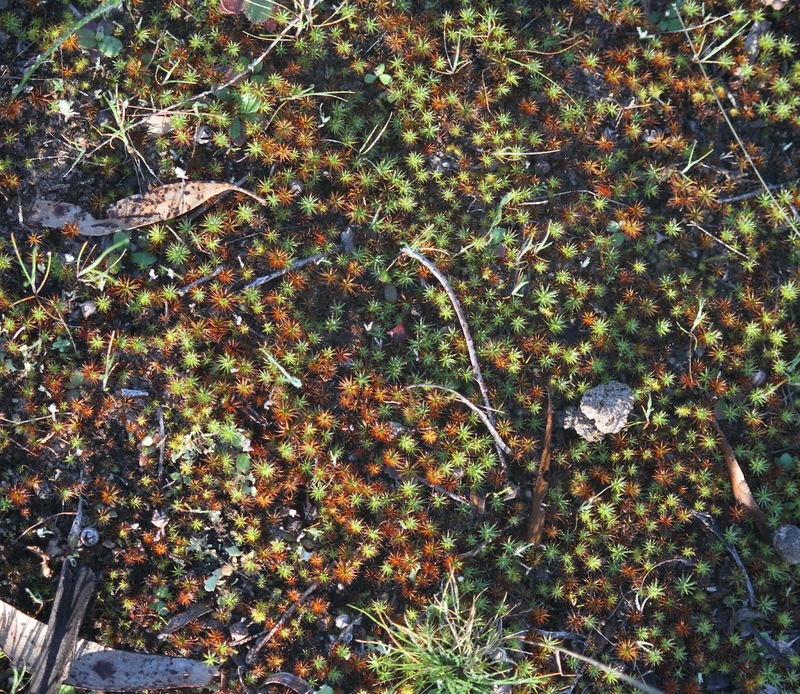 Flame Heath (Astroloma conostephioides) is common throughout the woodlands, and in damper areas the bush floor is scattering of the carnivorous Shield Sundew (Drosera peltata var gracilis). Covered in delicate branching inflorescence, this species supplements its nutrients by trapping insects. Cherrypool (Djarabul) – a local swimming hole for many thousands of years. Cherrypool Reserve is located at the Glenelg River Crossing on the Henty Highway, 20 km west of Wartook (-37.109896,142.186666), 80 km north of Hamilton, 50 km south of Horsham. There is a very pleasant roadside rest area here, a perfect place to stop for lunch, and then go for a swim in the heat of the day. A permanent water body, the local Jardwadjali aboriginal people have known and swam at Cherrypool for thousand of years. (Cherrypool is an anglicised form of its Jardwadjali tribal name Djarabul.) Even during the peak of the recent drought, it maintained permanent waterhole – a pool the size of a football field. Cherrypool is a good spot for waterbirds. I’ve recorded Great and Intermediate (several records) Egret, White-faced and White-necked Heron, Australasian Darter, Royal and Yellow-billed Spoonbill, Latham’s Snipe (single record), Buff-banded Rail, Azure and Sacred Kingfisher, Black-tailed Native-hen, Eastern Swamphen, Hoary-headed and Australian Grebe and Black-fronted Dotterel. There’s also breeding colonies of Nankeen Night Heron and Australian White Ibis in the shrubland bordering the pool. There also used to be a bird hide, but it as been dismantled. Woodland birds I’ve seen here include Brown and White-throated Treecreeper, Bassian Thrush, White-bellied Cuckoo-shrike, Jacky Winter, and lorikeets such as Little, Musk, and Rainbow, and Emu are sometime see wading in the shallows. Interestingly, historically Malleefowl occurred around Cherrypool – the last record I know about was in 1981. I’ve also seen several Water Rat swimming across the pool. It can be a good spot for orchids; last week there was a colony of Noddy Greenhood (Pterostylis nutans) near the bridge. From Cherrypool, the Cherrypool-Rocklands Rd heads west in to the Black Forest State Park, and then to the Rockland Reservoir. 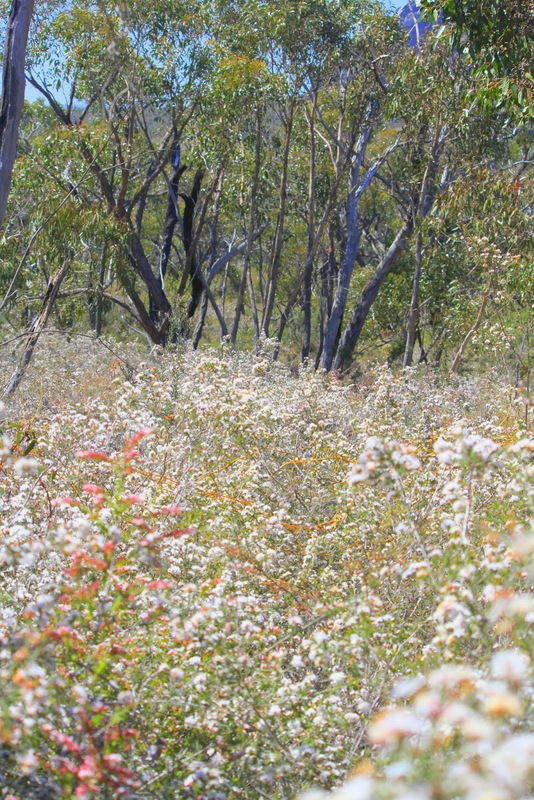 The Black Range is made up of rocky hills with heathy woodlands and River Red Gum flats. It is an area worthy of its own dedicated trip report, so I won’t dwell too much on the site; however, just briefly, in the woodlands along the beginning of the Cherrypool-Rocklands Rd look for birds such as Hooded and Scarlet Robin, Black-chinned, Yellow-tufted and Fuscous Honeyeater, Varied Sittella, Brown Treecreeper and Little Lorikeet. The Old Adelaide Rd runs between Cherrypool and Wartook State Forest (-37.070553,142.272366). Along here there is an interesting area of dry stringybark woodland with a heathy understory. Last week I discovered a population of Chestnut-rumped Heathwren immediately beside this road. It is also good place for birds such as Buff-rumped Thornbill, honeyeaters such as White-eared, Yellow-tufted and Fuscous, and previously I’ve recorded Blue-winged Parrot along this road. It’s a section of woodland I plan to investigate further on my next trip to the area. Like the Black Range, to do the Grampians National Park (Gariwerd) justice it would need a complete and dedicated trip report. The area is simply superb for seeing some of Australia’s rich and colourful wildflowers, particularly from early spring to early summer. 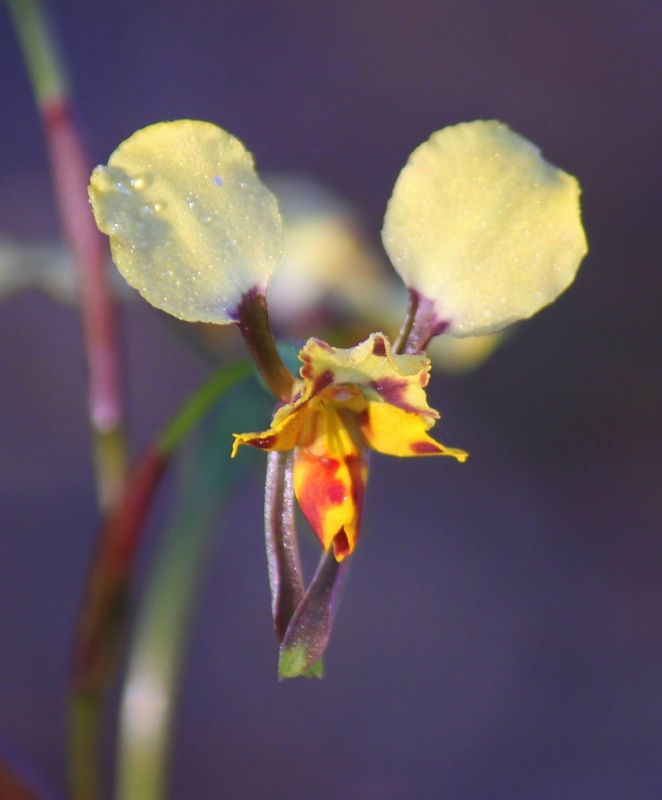 For example, the Grampians support over 975 native plant species – over a third of the total Victorian flora, many species found nowhere else – and there are over 75 orchid species. Hallow Mountain – good spot for Peregrine. Just briefly though, from Wartook it is always worth doing the short drive to the spectacular Mt Stapleton, Hollow Mountain, Flat Rock and Mt Zero (-36.892441,142.376093). This is a must visit area when travelling to the northern Grampians, not just for birds, but for the spectacularly scenery and flora. 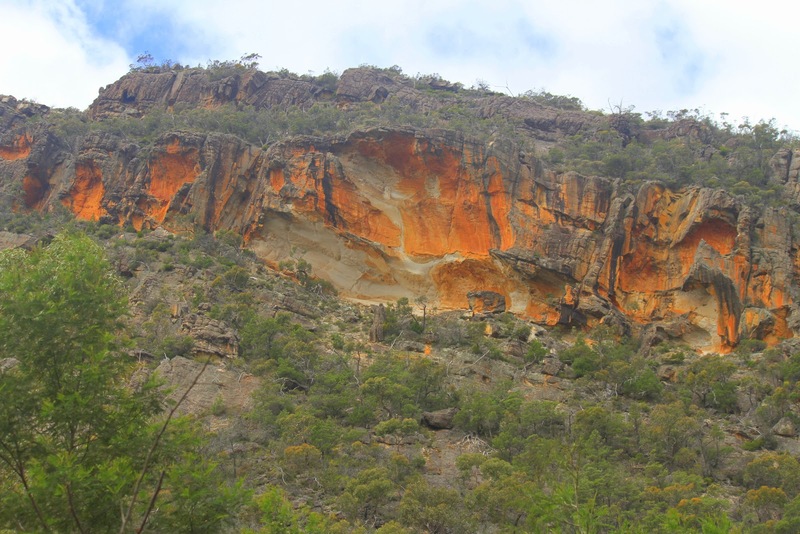 With its rich red soil and rocky sandstone mountain ranges, this section of the Grampians always reminds me of places such as the Flinders Ranges in South Australia and the MacDonnell Ranges in the Nothern Territory. The numerous cliff faces provides nesting sites for Peregrine Falcon and there is a large populations of Emu in the lowland flats. A walk to the Beehive Falls is also worthwhile which, in terms of flowering heath, is spectacular during spring. In some spots the pea-flowers are dominant, such as Showy Parrot-Pea (Dillwynia sericea), Leafless Bitter-Pea (Daviesia brevifolia), Rising Star Guinea-flower (Hibbertia humifusa Grampian ssp) and the endemic to the area Mt. Zero Bush- Pea (Pultenaea williamsoniana). 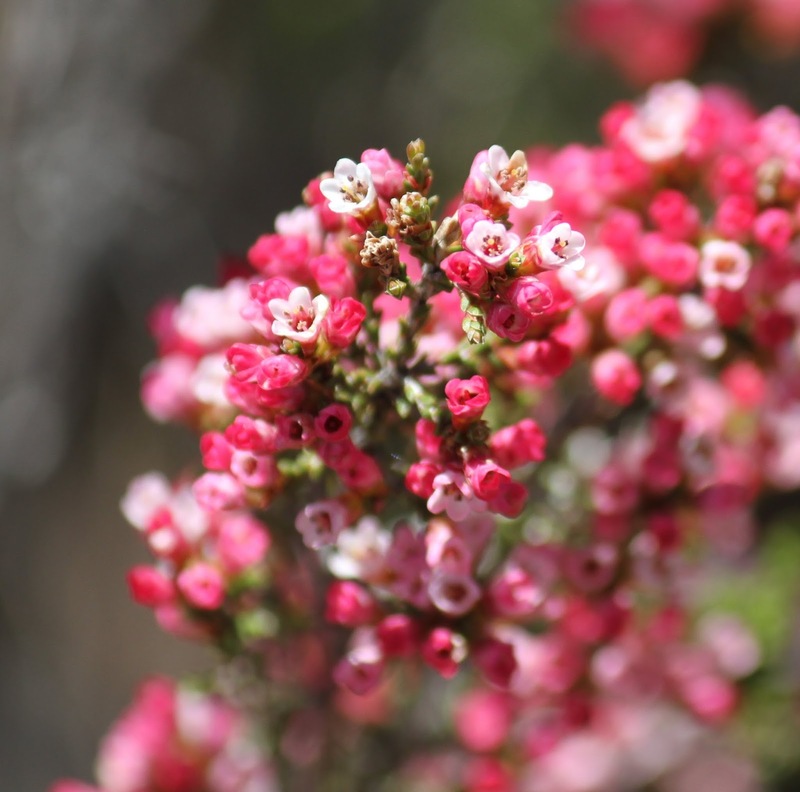 You may also see Grampian’s Thryptomene (Thryptomene calycina), another endemic to the Grampians. It grows about 3 m tall and displays dense sprays of beautiful white flowers that gradually age to pink. The main Grevillia varieties are Cats Claws (Grevillia alphina) and Variable Prickly Grevillea (Grevillea aquifolium). There are also small sections of the endangered Flinders Wattle (Acacia notabilis). While I was there, Common Fringe-myrtle (Calytrix tetragona) was in full flower; its fine foliage was barely visible through the flowers. The Devil’s Garden State Forest is another nice open woodland, located on the east side of the Grampians, on the road between Halls Gap and Stawell (-37.108204,142.581727). 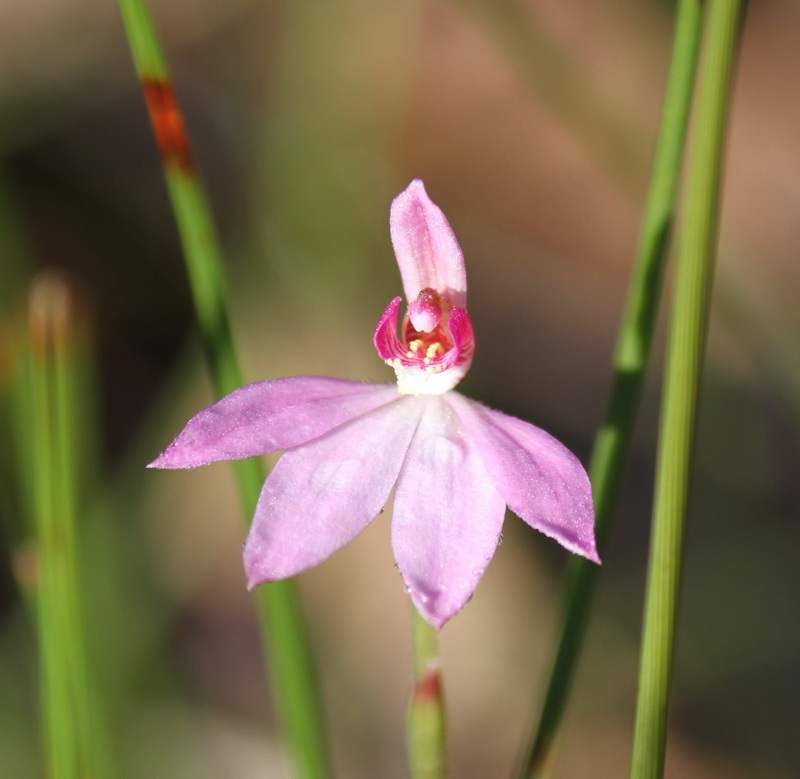 It’s dominated by River Red Gum, Yellow Box and Golden Wattle and it is also a good for native orchids in spring. Birds to look for here include Yellow-tufted and Black-chinned Honeyeater, Square-tailed Kite, Red-capped and Hooded Robin, Jacky Winter, Rainbow Bee-eater, Buff-rumped Thornbill, Varied Sittella, White-browed Babbler, Dusky Woodswallow, White-winged Triller, Rufous Songlark, Mistletoebird and Weebill. Chestnut-rumped Heath-wren has also been recorded here. 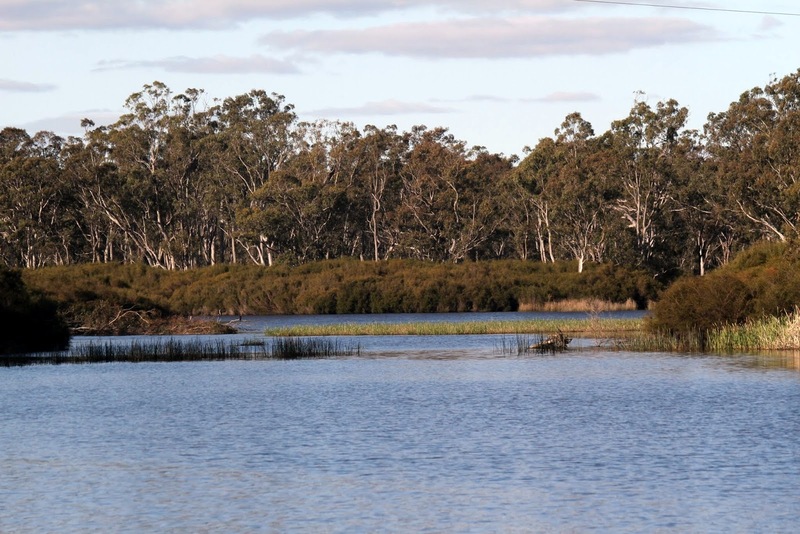 Deep Lead Nature Conservation Reserve Situated on the outskirts of the township of Stawell, the 1823 hectare park contains a variety of forest eucalypts, such as Red Ironbark, Yellow Box, Yellow Gum, Brown Stringybark and River Red Gum. 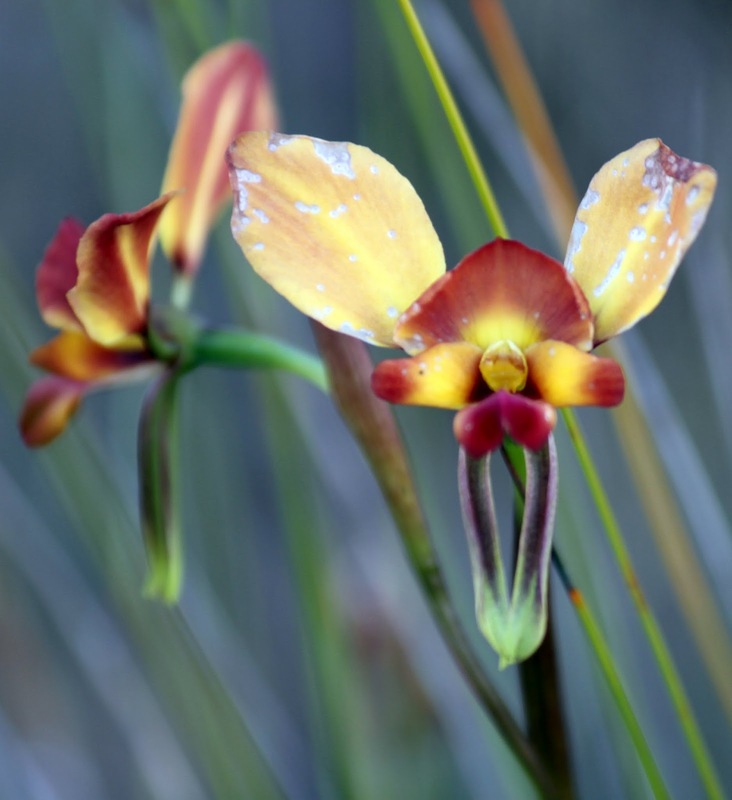 Like Wartook State Forest, it is home to many species of orchids, being particularly vibrant in spring. Swift Parrot occasionally visit here, along with Little and Purple-crowed Lorikeet. 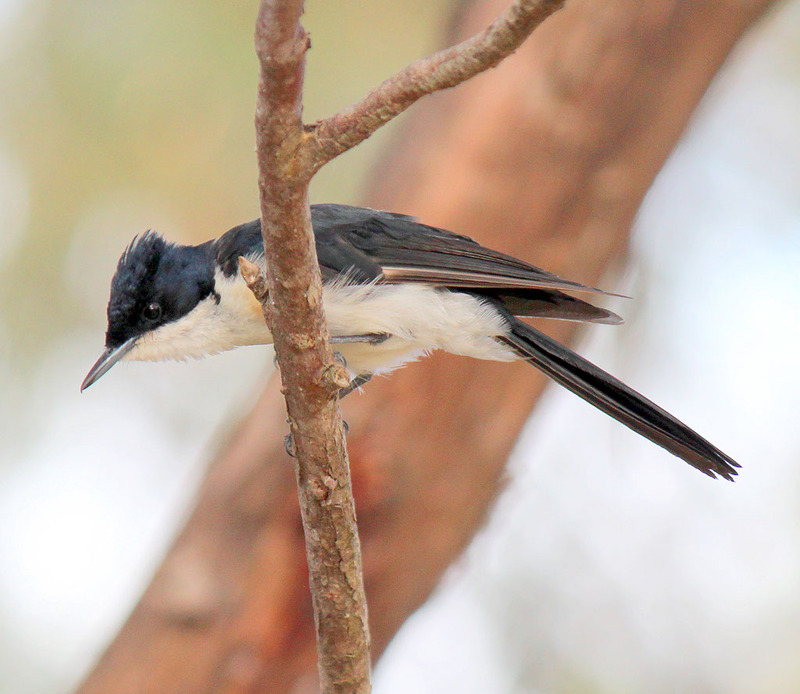 It is also an excellent site for honeyeaters, nearly 20 species, for example, I’ve seen Painted (heard), Black-chinned, White-fronted and Fuscous, and there are records of Black. There are also populations of Sugar and Squirrel Glider. Bunjil, with his two dogs. 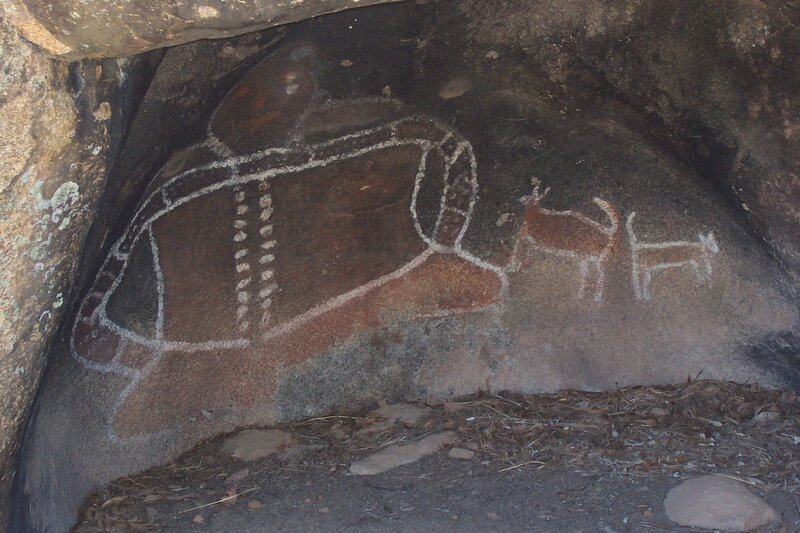 It is also worthwhile visiting the Black Range Scenic Reserve to see the Bunjil’s Shelter rock art. It is believed by the Kulin indigenous peoples that, in the Dreamtime, Bunjil took shelter in this cave. 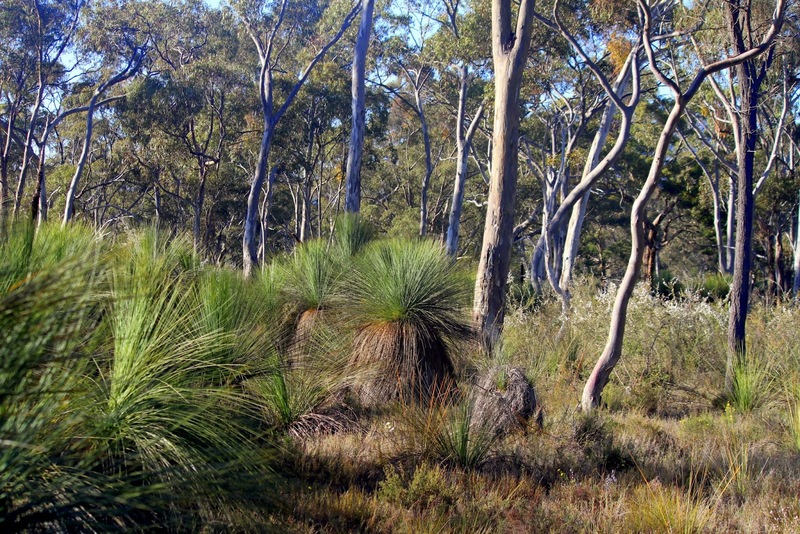 Wartook State Forest is significantly under-categorised as a conservation reserve. 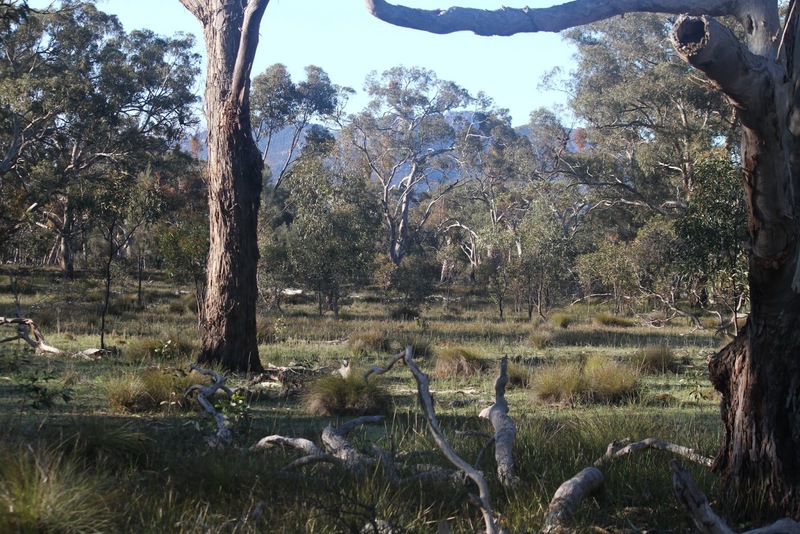 In terms of the national reserve system, due to its superb area of grassy eucalypt woodland, it should be declared a special conservation reserve. Another option would be to simply incorporate it into the Grampians National Park. 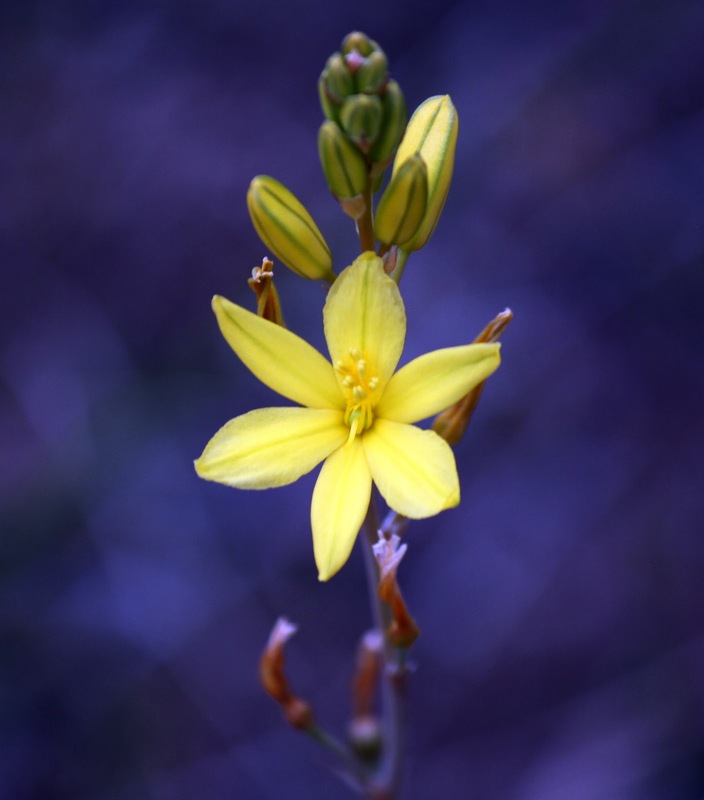 In the spring of 2012 Victoria’s forests and woodland are having a bumper year, both fauna and flora. Native orchids, for example, have been superb. One things about our native orchids is that they are very difficult to propagate, with many only producing flowers on sunny day. So your best real chance of seeing them is to visit woodlands like Wartook in spring, which is right now.